It has been billed by some as a left field choice. But is it really so strange that Brendon Hartley should be given a Formula 1 chance with Toro Rosso at this weekend's United States Grand Prix at Austin? It would not have been regarded as such had the New Zealander landed some kind of F1 drive when he was still a member of the Red Bull junior programme or in the years afterwards as he continued to plough a furrow in junior single-seaters. Yet Brendon Hartley 2.0 in 2017 is not only a better driver who can call himself a world champion, he is far more qualified for a race seat at the pinnacle of the sport. The reason is his four-season stint with the Porsche LMP1 team in the World Endurance Championship since 2014. Experience of sportscar racing will help any young driver on the up because they have to work with a team that is bigger and more complex than any they are likely have encountered on their way up in single-seaters. Multiply that by a massive factor in Hartley's case because he has been driving for a factory P1 squad in the current era of hybrid technology. Racing for Porsche in the WEC has been a kind of finishing school for Hartley. It has allowed him to take the next step as a driver, but also polished off the rough edges, made him mentally stronger and given him vital experience, inside and out of the car, that will be supremely relevant when he walks into the paddock at the Circuit of the Americas on Thursday. Hartley admits that he is a better driver today than when he was when let go by Red Bull in mid-2010 or when he more or less gave up on single-seaters ahead of the 2012 season. "Here you are working with a huge professional team and team-mates who you can really learn from," says Hartley, who pays testament to the role Porsche team-mates such as Mark Webber and Timo Bernhard have played in his continuing education. "There's so much that I have learnt being involved in this programme with Porsche: it gave me an opportunity to grow within the team, grow in confidence and figure out what kind of driver I was. "I have a lot more experience behind me; I'm a much stronger and more-rounded driver now. I'm much stronger mentally now and I don't make so many mistakes." "F1 is very structured, a bit like being in the military. Brendon will be used to that from Porsche"
Racing in the lower formulae can never prepare you for the pressure that comes with being an F1 driver. Racing in the WEC for a manufacturer can to an extent. The gaze from the world's media may not be so intense, but representing a big car maker comes stresses and strains of its own. "Racing in the WEC is different from the single-seater junior formulae," explains Hartley. "Here you are representing Porsche the brand. You have board members in the pits. Dealing with that situation has taught me a lot." 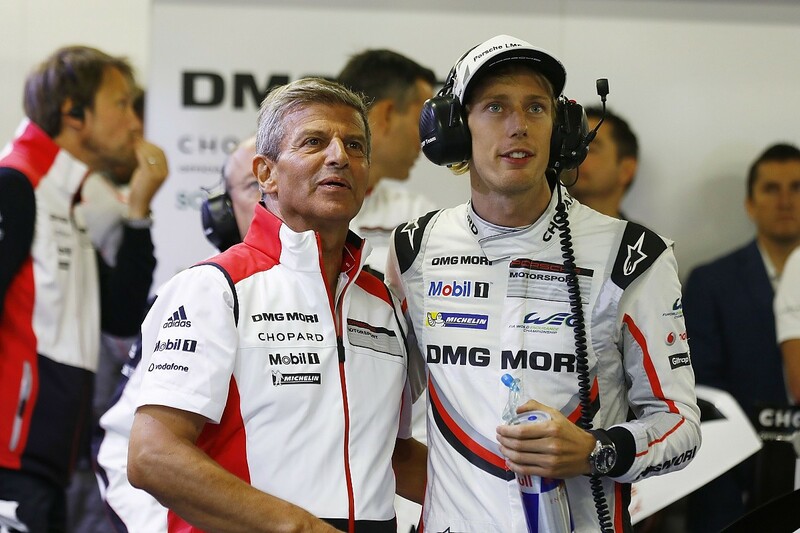 Hartley has also learnt a lot technically since joining Porsche. He came on board the 919 Hybrid project early as the German manufacturer made its first steps back towards the top of the sportscar tree after a 15-season absence. He points out that as a Porsche driver he can highlight "something we can change or develop" in his post-race report and "it can be on the car at the next race". The WEC is a long way from a one-make F1 feeder formula in that respect. The experience of a twin-hybrid racing car will be immediately applicable to the F1 environment. So too will what he has learnt about tyre and fuel management in the WEC. Hartley will fit straight into the complex environment of a modern F1 team, reckons Toyota WEC driver and Sky F1 pundit Anthony Davidson. "Working as a driver in a big manufacturer team in the WEC is pretty much in line with what will be expected of Brendon with Toro Rosso," says the ex-F1 racer. "It's all very structured, a bit like being in the military, in F1 and he'll be used to that from Porsche. "What is expected of the driver technically is pretty similar, too. A lot of what comes with working with a hybrid F1 car will be second nature to him." Davidson isn't expecting an F1 recall time any time soon, even though he remains a part of Mercedes' F1 simulator programme. But Andre Lotterer thinks there are any number of drivers on the WEC grid who could do the job in F1. Lotterer proved something about level of an LMP1 factory driver to the F1 fraternity when he was given a last-minute chance to race for Caterham at the Belgian Grand Prix in 2014 and promptly outqualified team-mate Marcus Ericsson. And Hartley appears on paper better qualified to spring a surprise than his now team-mate in the Porsche camp. His F1 experience is much more recent than was Lotterer's. The German had last tested an F1 car a dozen years before his belated F1 race debut, while Hartley got behind the wheel of one, a Mercedes, most recently in 2012. What's more he remained part of the team's simulator programme through his first season with Porsche in 2014. But Lotterer thinks that Hartley will have it harder than he did three seasons ago. "When I drove the Caterham the lap times of an LMP1 around Spa weren't that much different from an F1 car, and our corner speeds in the Audi were higher in some places, but things have changed," he says in reference to the faster breed of F1 car introduced for this season. "And I was racing Super Formula where the corner speeds were definitely higher than F1 at the time." Lotterer points out that Hartley is also going to be under significantly more pressure than he was. The Kiwi isn't joining a team mired at the back of the grid and there may or may not be a sniff of more F1 for him. "I just went there for a bit of fun," says Lotterer. "I knew I didn't have a future in F1. I get the impression that it is a bit more serious for Brendon than it was for me." But that arguably shows how well qualified Hartley is to be an F1 driver. The only thing he's missing as he prepares for Austin is probably a bit of testing in a 2017-spec Toro Rosso STR12.